It never fails to expose the answer. When there is a consistent problem we are taught to find the common denominator in order to solve it. It is obvious then that Washington (and most of America) have totally forgotten this 8th grade Algebra lesson. Here’s a very dangerous example that clearly illustrates the problem with our government using this simple axiom. To a normal thinking person who has not been in a cave for the last 12 years, this would seem just too ridiculous to even contemplate let alone be true. But be assured that it is true. The stuff you couldn’t make up. The stuff that rates high in Rod Serling’s America. Irrefutable evidence of why GLOOG is the surgeon among interns in exposing the cancerous tumor that is destroying our country. They’re not just stripping us of our freedoms, they’re rubbing our noses in it along the way. Now let’s see if we can find out how in the world this suicidal policy would be allowed in the Department charged with safeguarding our homeland. 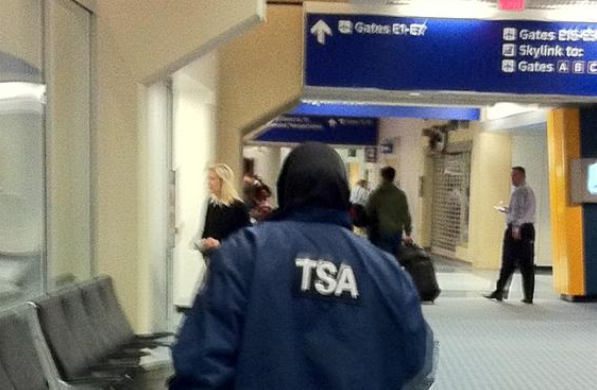 The TSA is the organization that is charged with securing our air traffic after the attrocity of 9/11. It is under the auspices of The Department of Homeland Security. See any ‘common denominator’ ? Any one of the above come up through the ranks of military or police? And can someone please tell me how many classes in security and terrorism they teach in Law School! No kidding! Active duty US Army Special Forces with a Top Secret Clearance and I was swabbed for explosives at RDU by a hijab wearing TSA agent. I apologize, but for some reason I could not leave a comment in the comment section, so I thought I’d write you directly. My sister and I were in Grand Forks, ND (!!) last month for a funeral and we were SHOCKED to see a hijab’d TSA agent patting down a young woman holding a 5 week old infant! After watching and listening to the fiasco, it was clear the muslima was a white convert. 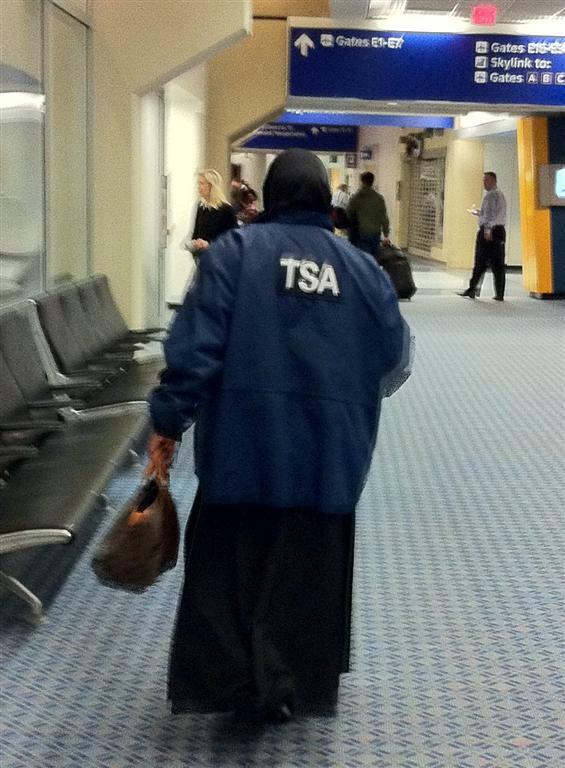 The airport is a Delta hub…and I think TSA may have put a muslima agent at this airport because of this article?